This week’s Photo Challenge is Big. This entry was posted in Kayaking, New York City, Photography and tagged Big, New York City, New York Harbor, Photography, postaday, postaweek, postaweek2012, Statue of Liberty, Weekly Photo Challenge. Bookmark the permalink. Interesting. IN all the photos I have seen of this statue, I have never seen it from this perspective (didn’t know it had all this stuff at the base). I spend days in NYC but I have never gone to visit her. Did you go inside? Is this the day you took your profile picture? I think yes. Especially if you get really close! And to think, she was a gift from the French. It is a matter of perspective, big is all about scale. Great post! Very nice to have both photos. I’ve visited the lady and walked up her stairs but never seen her from a small kayak bobbing in the ocean. Lady Liberty. She’s big and beautiful. Nice post. Perfect example and very impressive. Someday I’d love to see this myself. It really is big! Definitely worth seeing in person! An extremely BIG expanse of water …. and …. the Statue of Liberty a distinctive signature of New York. You must have captured that photo while cayaking. Lucky you, it is GREAT. In most minds it does not seem so big but yes as you have shown it is. Oh yes, it is all about perspective, isn’t it? I love this post! Love this – whether something’s big or small depends on what you compare it to! And the pictures are excellent. Nice shots! 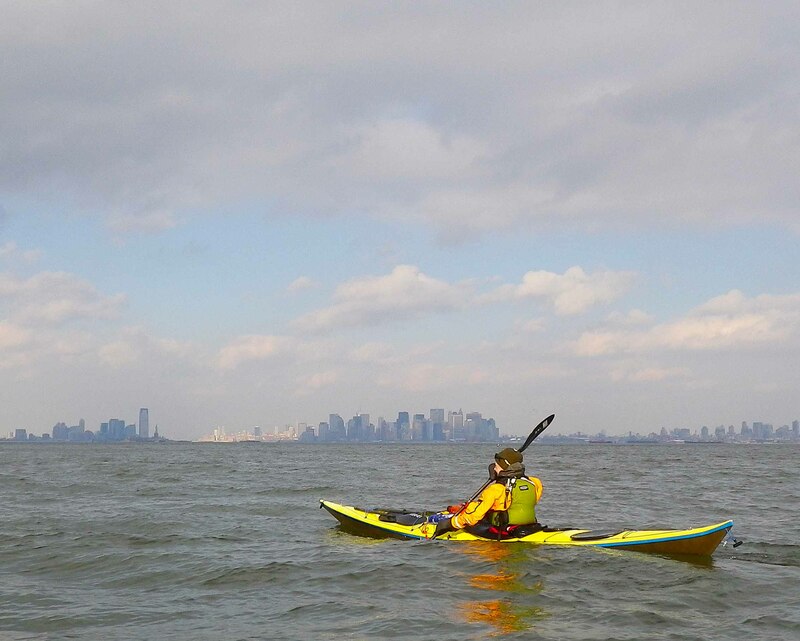 The image of NYC in the distance behind the kayak is really cool. What a remarkable experience it must be. Beautiful shots – perspective is everything! Quite true! 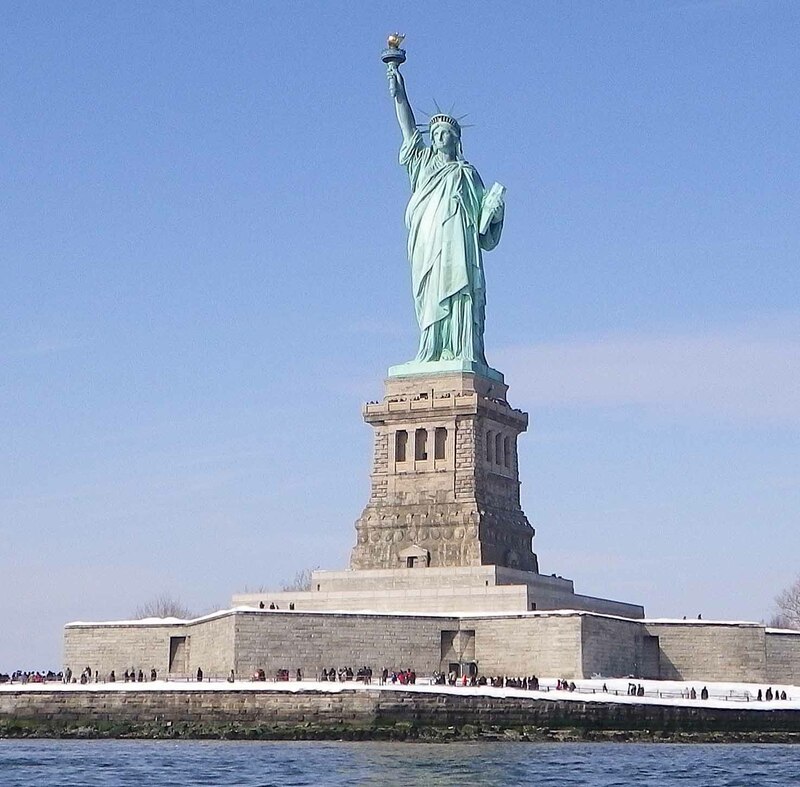 My daughter’s comment when we saw the Lady from Battery Park last summer was, “I thought it would be bigger.” And I remember being surprised by how small the inside of her head is when I went up inside the statue years ago with my son on a school field trip! Wish I hadn’t missed the big theme I have some really nice photo’s of the Golden Gate if I do say so myself but I love these photo’s, so nice. Thanks—and thanks for following our blog!